Being both a continent and a country in one, not to mention home to thousands of miles of beaches, Australia is on every traveler's bucket list. With so many visitors, tourism is a significant industry in Australia and offers many opportunities for job seekers looking to work in a hotel, resort, or spa down under. Being the sixth largest country, it is no wonder that Australia offers such a diversity of sights, sounds, places and people. Not only does the country attract travelers from abroad, but Australians are known to have a thirst for exploration. Whether coast, outback or city, there is a lot to be discovered in Australia. 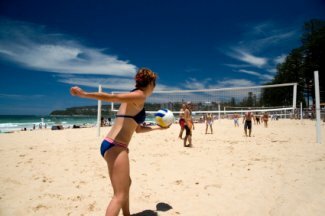 As most of Australia's population is concentrated along the eastern and southeastern coasts, this is also where you will find the largest concentration of hotels and resorts. Well known cities like Sydney, Brisbane and Melbourne all fall along the eastern coast, along with must-see sights like the Great Barrier Reef, the Sydney Opera House and the Great Ocean Road. Of course, hotel and resorts can be found all throughout the country. In particular, Perth, the capital of Western Australia is a popular tourist spot, along with areas in interior Australia near Kakadu National Park and Uluru. For job seekers looking to find employment at a hotel, it is important to understand which type of working and living environment you'd like to surround yourself in. Perhaps the excitement of Sydney is ideal, or maybe the surf culture of the Gold Coast is a better fit. Australia welcomes foreigners to join their work force in one of two ways. There are employee sponsored visas for people that are highly skilled. In the hotel industry, these visas would be applicable for positions on the executive level. The other option is through the Work and Holiday Visa which allows people from 18 to 30 years of age to travel and work for up to one year in Australia. This visa is for people from Bangladesh, Chile, Indonesia, Malaysia, Thailand, Turkey, and the United States. The visa is intended to encourage cultural exchange, and travel can be supplemented by periods of temporary and casual employment. In the hotel industry, jobs that fit this criteria are plentiful and require little to no experience. To find out more about finding employment at a hotel in Australia, continue reading on in our Member's Section.